This is an invitation to commercial real estate brokers, commercial real estate tenant representatives, property owners, entrepreneurs and business owners to learn about great opportunities on Morse Avenue for retailers and restaurateurs. Morse Avenue consists of a mix of uses, building types, transportation options and a diverse population of residents and business owners. Join us and learn about the Glenwood Avenue Arts District. Get to know the heart of Rogers Park and its love for the creative spirit. 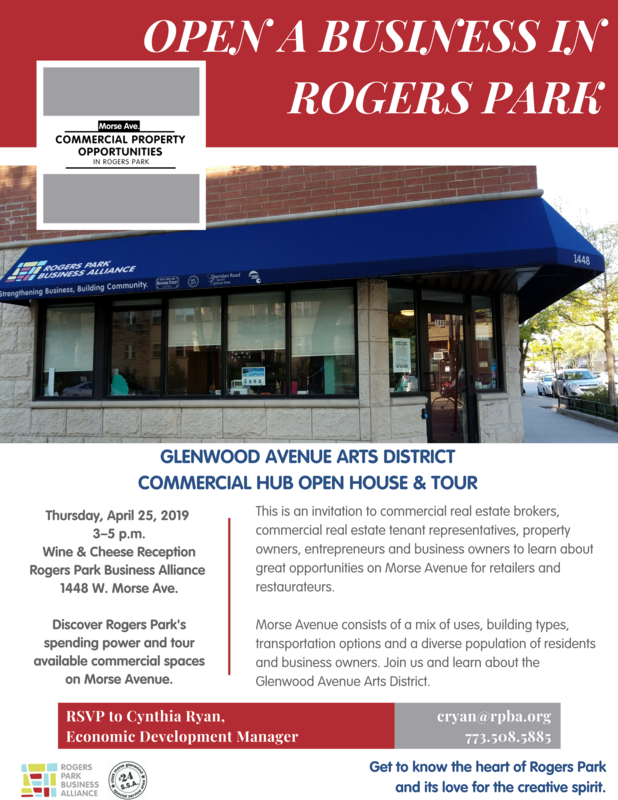 Discover Rogers Park's spending power and tour available commercial spaces on Morse Avenue.